Looking for a good replacement for the Co-op Extreme Socks? Seeking other AFCNA alpaca products? Are you a STORE? Click HERE to learn about wholesale AFCNA products. As a long time member and contributor to the Alpaca Fiber Co-op of North America, aka "The Co-op", we were sad to see this flagship enterprise, which in many ways "started it all" had to close. 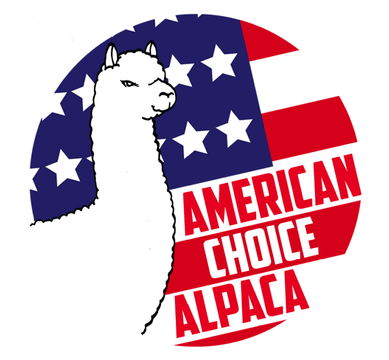 We believe the Co-op was a very positive and necessary entity for the starting American alpaca industry. When we heard of the closing, we bid on 1000s of pairs of Alpaca Fiber Co-op (AFCNA) Hiker, Qtr Hiker and Dress socks. We also purchased sock yarn and are continuing to produce the Hiker socks, a long time favorite. We improved on the Co-op's Extreme socks with by two versions of socks from Choice Alpaca Products, a USA company. These socks are part of our ever growing American Choice Alpaca line which celebrates quality alpaca products made in the USA. The Superwarm Heavy Extreme Alpaca Socks are a "Superweight" alpaca sock which has been popular with our customers since 2006. Tens of thousands have been sold with many many loyal repeat customers. The Superwarms have been warn by explorers in the Arctic and Antarctic, cold weather hunters and fisherman and a host of other outdoor workers and enthusiasts. The warmest socks you may ever find, they are the REAL DEAL for keeping feet warm, cushioned and comfortable in extremely cold weather! Another sock we offer, equally popular to the Superwarm is the OutdoorAdventure alpaca socks. Scaled to be roughly the weight of the Co-op's old Extreme Alpaca socks, the newer OutdoorAdventure is warmer and much more comfortable. An excellent choice for cold weather, the OutdoorAdventure feature cushioning for comfort, reinforced strength and an amazing moisture wicking ability to keep your feet dry and comfortable should your feet get actually HOT in the socks! Available in 3 colors (Black, Cocoa and Grey) and 4 sizes (S, M, L, XL). Our newest creation is a result of tons of sock yarn bought from the closing AFCNA inventory. The new 80% alpaca "American Traveler" is a mid-weight active sock with cushioning and warmth designed for long walks, light hiking and daily/office wear. The higher than normal (80%) alpaca blend in the sock yarn is an often requested feature from many of our discerning customers. The American Traveler alpaca sock is likely to be one you will wear more than any other! Thank you for your visit and interest in alpaca products. We hope you will support USA made alpaca farms and small family businesses through your purchases of quality American alpaca!